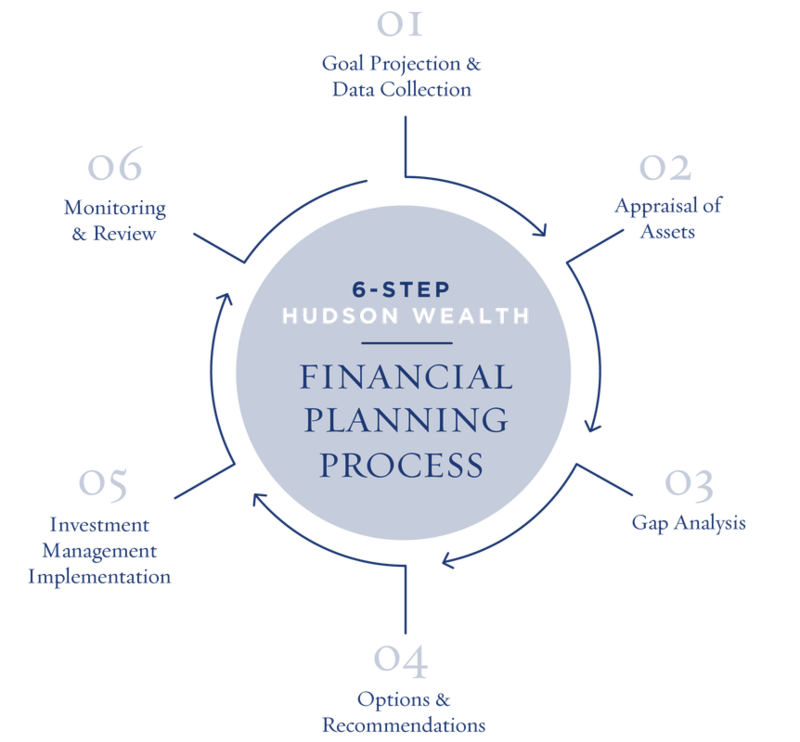 At Hudson Companies, our goal is to CUSTOMIZE our financial planning services to meet your INDIVIDUAL financial needs. We do this by having your best interest at heart first, before everything else. Christopher Conover and his expert financial planning team make sure that your hard-earned assets are invested in ways that will maximize their growth and achieve your personal financial goals. Financial planning is the set of processes whereby our financial planners, consultants, and SEC registered investment advisors help you identify your financial goals, develop a plan of action to help you achieve them, and regularly monitor your investment progress. Financial planning is essential for retirement, children’s education, charitable giving & philanthropy, and for wealth and estate transfer. Step 1: We collaborate to set your financial goals and start the data collection process. Step 2: Our team of knowledgeable financial planners and expert advisors appraise your financial assets. Step 3: We prepare a GAP analysis to help guide our investment strategies. Step 4: We will discuss options and make the best financial recommendations. Step 5: We create and implement a customized financial plan and investment strategy. Step 6: We regularly monitor and review the performance of your investment portfolio.